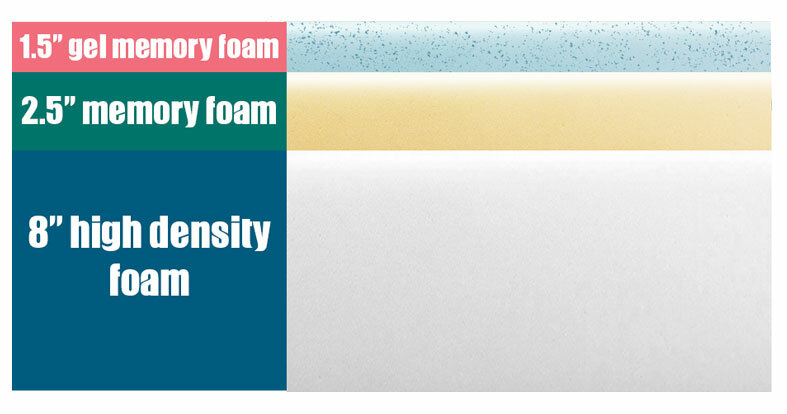 Update: Dreamfoam has rebranded Ultimate Dreams Supreme 12″ Gel Memory Foam to a new name: iPedic Sojourn 12″ Gel Memory Foam. Have you been searching for an affordable high-quality mattress? We believe that a mattress does not have to be incredibly expensive to be good. An amazing budget mattress is Dreamfoam's Ultimate Dreams Supreme Gel Memory Foam bed, which should provide a good night's sleep at a fraction of the cost. This bed is manufactured by Dreamfoam, a brand by Brooklyn Bedding. They take pride in their ability to provide a wide-range of affordable products that customers love. 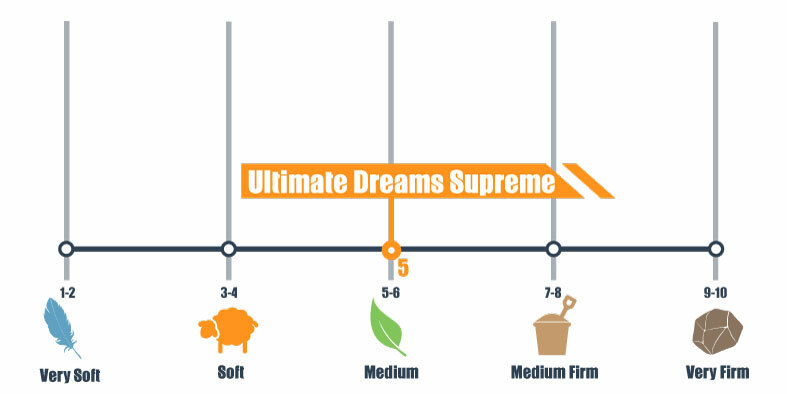 This in-depth review of Ultimate Dreams Supreme is based on our scoring system that includes characteristics such as value, quality, and support. Keep reading for our deep-dive into this product, or if you don't have the time, you can jump to the scoring and summary section here. Want quality on a budget – We believe this is a solid pick for a budget mattress because it provides an affordable alternative to high-end brands while maintaining the same benefits. The company’s family-owned factory allows for less expensive production, which they graciously pass along to their customers. Enjoy a typical memory foam feel – The layers are designed to work together to hug the body and provide a deep level of comfort. Those who want a classic memory feel should find fulfillment with this brand. Need motion isolation – Memory brands tend to perform the best in this area and this one is no exception! Light sleepers who have trouble on innerspring beds should look into this option for a better night’s sleep. Prefer an innerspring feel – There will be a distinctly different feel to this Dreamfoam mattress when compared to an innerspring model since it is made with foams and gel instead of coils. Would you like to see more options? 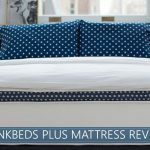 Check out our mattress reviews page for a complete overview or our 12 selected bed picks for 2019 here. It is designed to be used with a solid base for support. This includes a platform, wood foundation, or slatted bed with 3-4 inches between each slat. Dreamfoam also offers metal foundations that are designed to work well with their products. The terms of the foundation are important when testing out the 120-night trial period or utilizing the warranty. This model has an updated look from its previous version. The two-toned cover is made from four-way stretch cotton knit. The first layer is 1.5 inches of 4-pound gel memory foam. The brand says that the gel found in this layer helps keep sleepers 33% cooler. This is good news since typical memory foams trap in heat, which can create uncomfortable warmth throughout the night. We rate this bed a 5 out of 10 on our firmness scale (see our guide and chart here) with 10 being the firmest. Its true medium-level firmness provides versatility to cater to nearly every sleep position. The durable cotton cover is soft to the touch. When pushing into the mattress and releasing, there is contouring and slow responsiveness. It has minimal bounce when compared to hybrid and innerspring mattresses. Light sleepers should not be disturbed by typical nighttime interruptions, including a partner getting in or out of bed or repositioning, as well as pets milling about. When shopping for a mattress, you might want to consider two types of edge support and how they can enhance your experience. There are two types of support to pay attention to – sitting on the edge and lying on the edge. It is widely known that memory beds do not typically perform as well in this area as hybrids and innersprings. However, this particular quality is not often a deciding factor in purchasing. There are a few inches of noticeable compression when sitting on the edge of the bed. While lying down on the edge, there is additional compression, but the base layer helps to keep sleepers in one place. Trial Period – 120-night trial period. Note that the company does not provide packaging in the event you need to return the mattress. 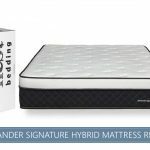 Fantastic Budget Option – Costs less than comparable mattresses and has free shipping. CertiPUR-US® Certified – Foams meet certification standards for levels of mercury, lead, heavy metals, formaldehyde, and other harmful chemicals. The manufacturers avoid ozone depleters to meet certification levels. OEKO-TEX® Certified – Materials meet a minimum global threshold for chemical standards, which should give you peace of mind as you use this product. Dreamfoam Bedding’s Ultimate Dreams Supreme mixes quality and value to make it a wonderful pick when considering a budget mattress! Overall, we think the Ultimate Dreams Supreme 12” (Gel Memory Foam) bed is a solid budget option on the market if you are looking for good quality, true medium memory foam feel that can easily compare to more expensive models. Buyers can expect to save over $2,000 when compared to similar in-store brands. Its balance of pressure relief and support, as well as eco-friendly materials, has us giving Dreamfoam Bedding high marks! Thanks Sarah! A wonderful frank review. You’ve tilted me toward this mattress. Excellent, Fran. Happy to help. If you end up going with it, consider letting us know how it works out. We love getting feedback about these mattresses. 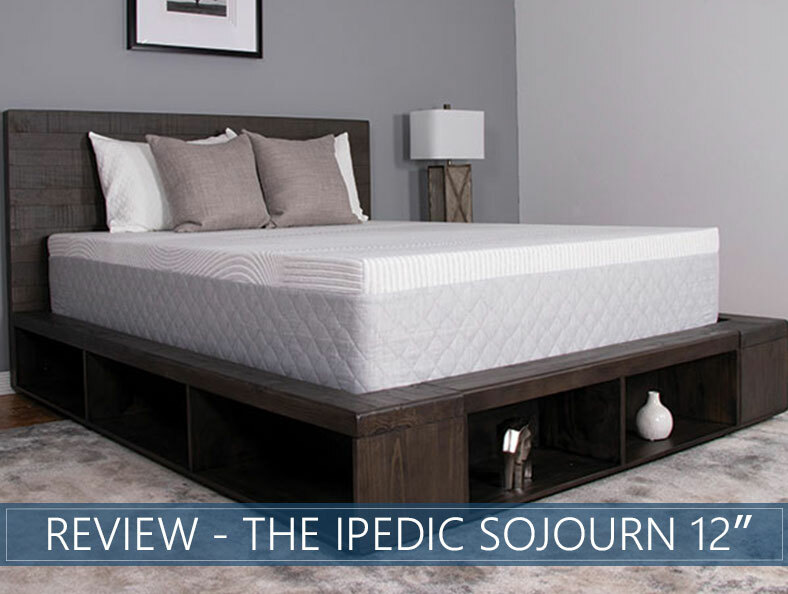 Do you know if the change to the iPedic Sojourn name has resulted in any other changes to the mattress? I’ve had a hard time finding the foam densities for the update. Hi Amy! Thanks for reaching out. From what I was able to find out from chatting with the company’s customer service (available on their website) the specs of the mattress have no changed with the name update. I hope that helps. Feel free to reach out to them if you have any more questions. Thanks!! I just spoke to a customer service person (3/112/2019) who said it has changed and they no longer use 4 pound memory foam, only 3.5 pound from now on. Hi Hank. Thanks for the note. We’ll look into it! Hi there. Thank you for this informative article! I was just wondering if you know anything about the return procedure? I’ve read that some brands have you donate the mattress to Goodwill and other places that will come pick it up. I can’t imagine how one would get this kind of mattress back to the company for an exchange\refund, especially someone who is not in proper health nor able-bodied enough to move it anywhere. I also wonder how one would get this compressed again to even fit into a box? If you have any info on this I’d very much appreciate hearing it. Most companies have different policies, but none expect you to compress the mattress back into the box! (That’s good news, right?) Many ask that you donate the mattress and some come and pick it up. I spoke to DreamFoam, and they told me that they ask that mattresses be donated. In the case that this is difficult for you, they can arrange special assistance with this process. I hope this helps! Thanks for reaching out.